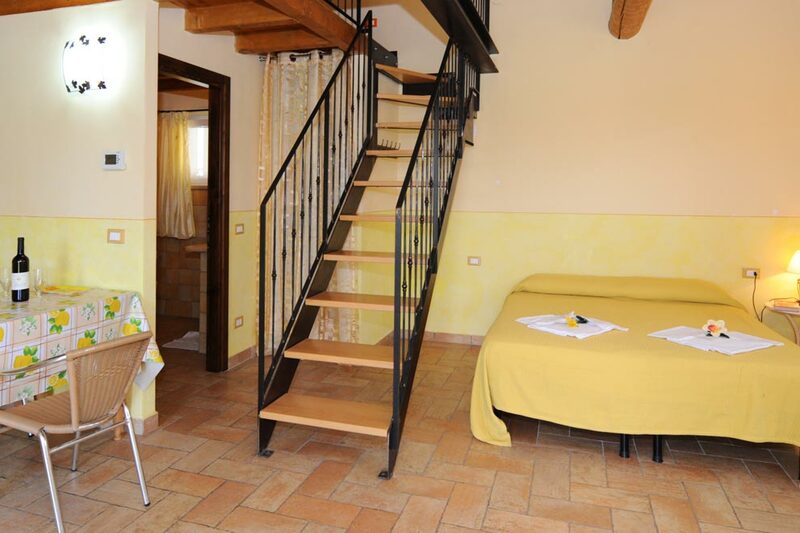 and we are very pleased to welcome you in our “Agriturismo”. The “Lizzarola” belongs to our family since far 1929. At that time, Grandmother Lina owned a “Fiaschetteria” and sold the wine produced in the farm. During the ‘60s, the ‘70s and the ‘80s, Mum Laura converted the tavern into an eating house, where tasting local foods as fish and grilled meat. But now it is our turn…with enthusiasm and devotion we have -once again- changed this place, we love so much, into a cozy and relaxing “peaceful spot”. 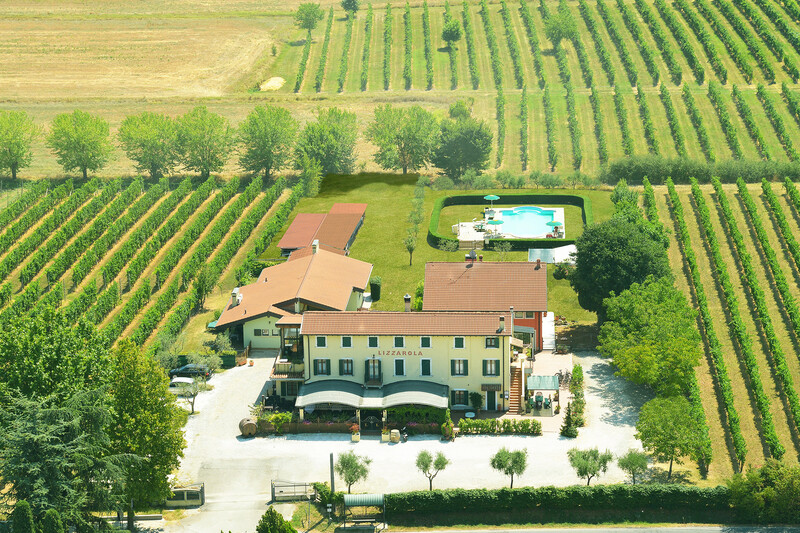 The “Agriturismo Lizzarola” is located in a very quiet place, surrounded by vineyards, and it is in the immediate inland of Peschiera del Garda. The Garda Lake is about 800 mt far and the city-centre of Peschiera 1,5 Km. In 2002 we succeeded in giving birth to our idea: by the rooms of the Colonial House, we obtained 6 gracious and comfortable rooms, each of them with a different theme and colour , each one with bathroom, TV, air conditioned and a safe. 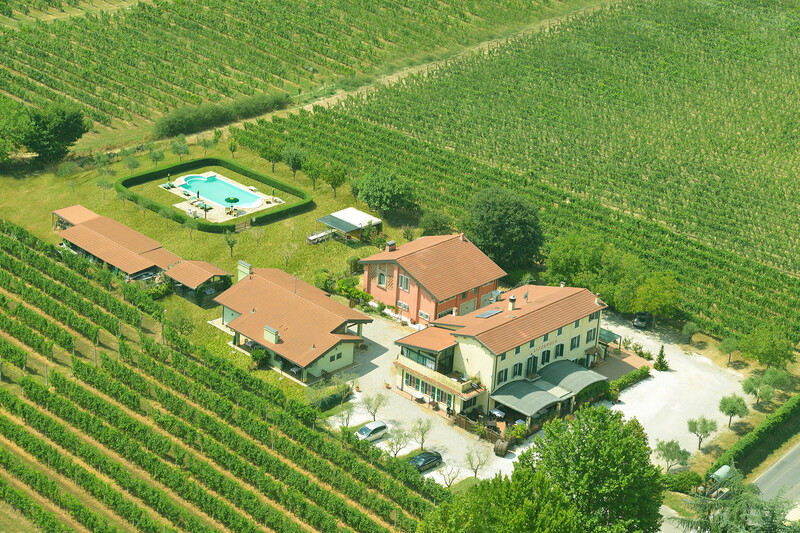 In the Courtyard, behind the House, there was the hay-loft where we have obtained 3 mini-flats called: “Limone” (Lemon), “Albicocco (Apricot-tree), and Vigna (Vineyard) with independent entrance, arcade, outside fireplace and barbecue. The apartments are big enough to lodge 4 to 6 people. From this year, 2011, there is a new room called “La stanza della nonna” (Granny’s room), a wonderful room for a romantic and relaxing stay. We recommend to have a look at the marvelous swimming-pool, surrounded by vineyards and the Moraine Hills, which frame the landscape. We kindly put at your disposal: games for children, bowling-green, a gazebo to enjoy with your friends, and free bicycles to hire. Moreover, you can also have a taste and purchase the wine of our own production. Looking forward to seeing you very soon, we heartily greet you. an oasis of serenity where to eat!